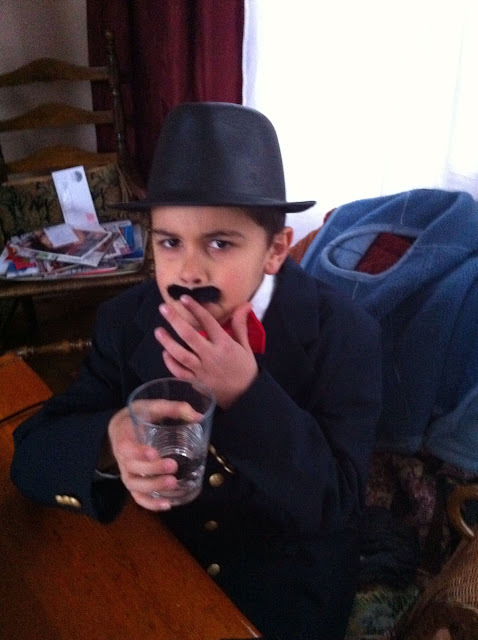 Yesterday, the younger 3 boys decided to dress up like old fashioned guys and make a video with Logan's new camcorder. They are definitely putting the new stuff to good use. I picked up the mustaches at Old Navy for their stocking stuffers. The best $2 I've spent in a while. 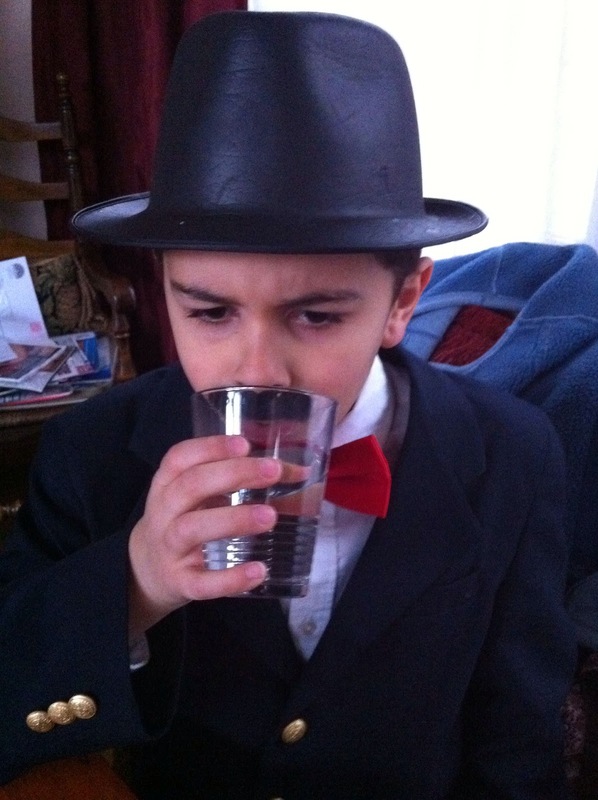 Lucas pulled his outfit together and looks surprisingly a bit like Charlie Chaplin. 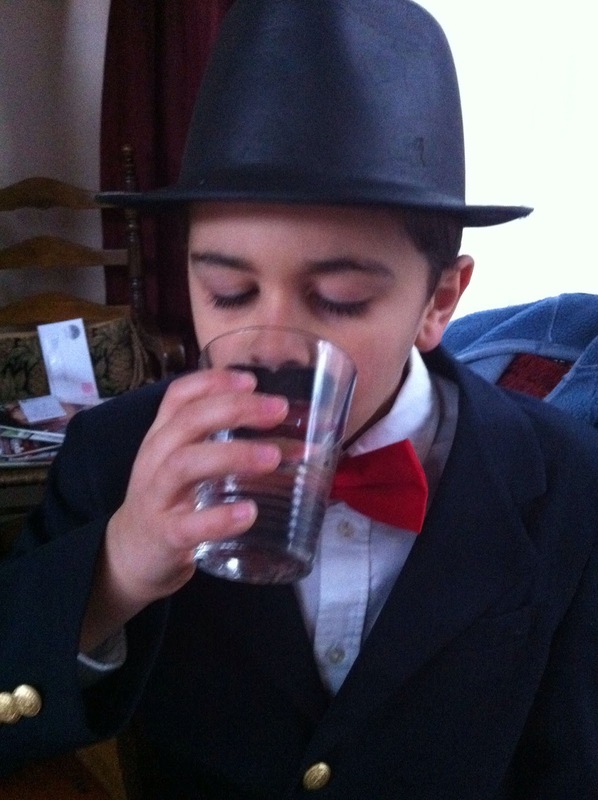 Before his big on camera debut, he needed to replenish his fluids. 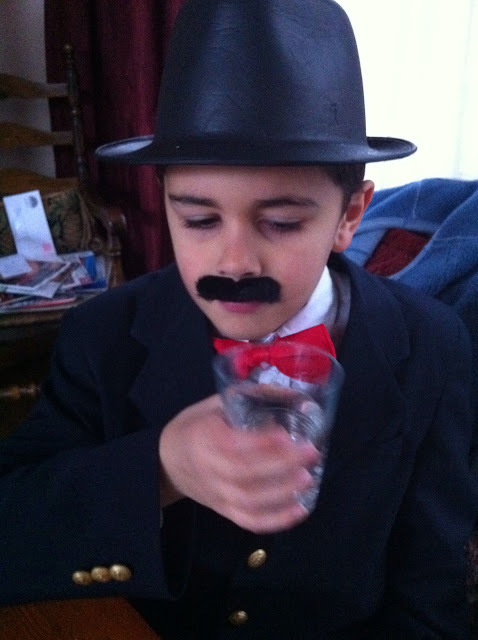 "I don't know how guys with mustaches drink water mom." I think it has something to do with glue.